When you think about such a large scale small group ministry like the one at Saddleback Church, it’s a little hard to wrap your mind around. 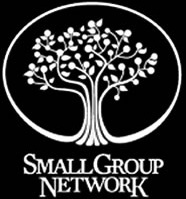 How could a church of 25,000 or so on the weekend have over 50,000 connected in small groups? A ministry of that size doesn’t sound like small groups. It sounds like a decent sized town. Sure, any church can get a bunch of people into groups for a short-term church-wide campaign, but how does Saddleback keep the arrow moving up and to the right? If these were temporary, thrown together groups, then you would expect them to disband as quickly as they formed. What’s the secret? What makes a good group system? Trained, motivated leaders. Visionary direction. Welcoming groups. Growing group members. Any or all of these descriptions would produce effective groups. But, there is one word that captures all of this and is the secret to Saddleback’s small group success: Health. Balancing the biblical purposes of fellowship, discipleship, ministry, worship and evangelism creates healthy groups, which in turn produce healthy group members. Leading Small Groups with Purpose is a multifaceted resource. Steve Gladen not only gives the theory of small group ministry, he offers practical next steps to hit the group where the rubber meets the road. Whether a group has just started or has been together for a long time, each topic contains Crawl, Walk and Run steps to integrate the biblical purposes in the group, thus producing group health. This book is not over any leader’s head and is certainly not beneath any leader either. Beyond the tools Steve offers in the book, he points the reader to many tools available on the web as well as quite a number of other resources. The book even comes with a small group assessment tool created by Dr. Les Parrott, which addresses group dynamics. In practical, honest and humorous ways, Steve cleverly relates many stories from his own group experiences to convey his points. Having learned from the laboratory of over 5,000 groups at Saddleback Church, 30 years of ministry experience, and especially his own small group, this book speaks to the heart of small group leaders from a small group leader. While leading one of the largest small group ministries in the country, Steve is a small group leader through and through. My only objection to this book is the author’s support of the Anaheim Angels in the World Series. Being a long time San Francisco Giants fan, I believe there never should have been a Game 7 in that Series. Other than this significant difference in core values, I’m a big fan of this book. Every small group member, whether new or experienced, will benefit from this book. If you’re a group leader who feels a bit like you’re on your own, this book will serve as the small group pastor that you wish you had. If you are a small group pastor or director, do yourself a favor and buy a case of these books and hand them out to your leaders ASAP. Over the years, the traditional method of recruiting coaches has always tended to fail me. I would select a reputable candidate, then I would sit down with them and talk about the role of a small group coach as outlined in a job description. Some were overwhelmed by the responsibilities. Others were enamored by the title, yet later proved to not actually do anything. As hard as it was to “hire,” it was considerably harder to “fire” them. So, I gave up on this method and found something better. The solution was discovered in a moment of crisis. My senior pastor and I had just successfully doubled our groups in a single day. Now, I had double the coaching problem. If we weren’t adequately coaching the existing groups, then how could we possibly coach an equal number of new groups. My minor coaching problem had just turned into a major problem. Then, the light bulb turned on. If half of my leaders were experience and the other half were brand new, then half of my leaders knew what they were doing and the other half didn’t. The solution was sort of a buddy system. I paired them up and let them coach each other. After the campaign, the folks who showed interest and ability to coach were invited to coach more formally. Those who didn’t get around to coaching were thanked for their valuable time…. I have never recruited another coach with a job description or based on their resume. We would start them with “helping” leaders. If they enjoyed it and were effective, then they would become coaches in a more formal role. 1. Call your new hosts and leaders once per week. The “helpers” who can accomplish these things over a 6-week campaign are prime candidates for coaching. Those who can’t pull this off are not the right ones. You’ll be glad you didn’t give them a title that you’ll just have to take away later.